Surrounded by breathtaking scenery, the international airport of Lugano-Agno is in a strategic position: only 6 km away from the centre of Lugano, the 3rd financial market in Switzerland, and on the border with Italy, allowing easy and fast connections to Milan. 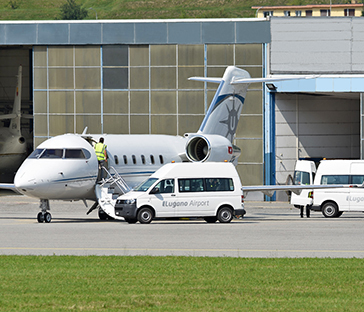 Lugano Airport offers fast tailor made services, from Aircraft Handling to Helicopter arrangements with a friendly and welcoming Mediterranean attitude and a first class catering. Ground Power Unit/Air Start Unit/Towing/Potable water/Toilet Service/Forklift/de-icing, and more. Have you ever been to Lugano? Have you ever considered choosing our airport? Uncertainty on which type of aircraft can land in LSZA? 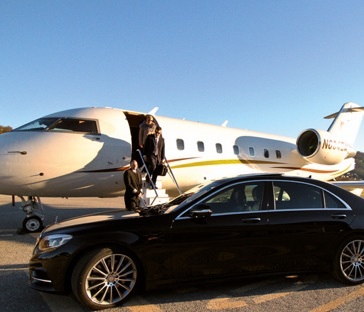 Lugano Airport offers every kind of service and is absolutely equipped for all type of business jets. If you are interested to operate to LSZA, please complete the handling booking form to reserve your parking.